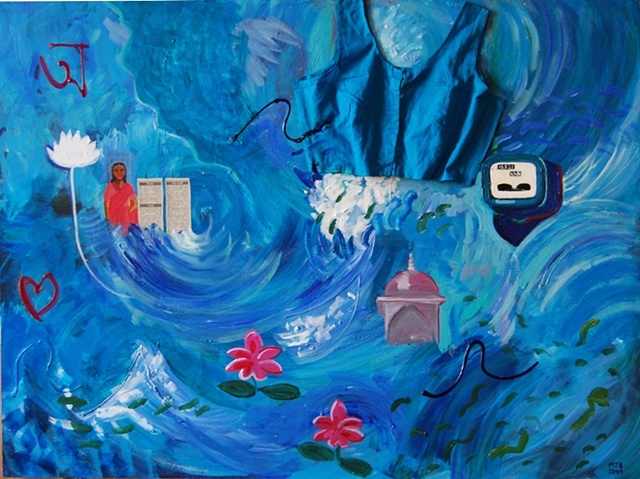 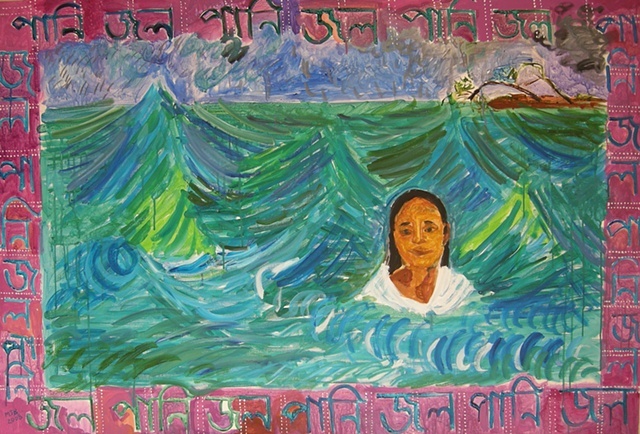 The Water paintings reference the rivers of Bengal and the impacts of climate change. 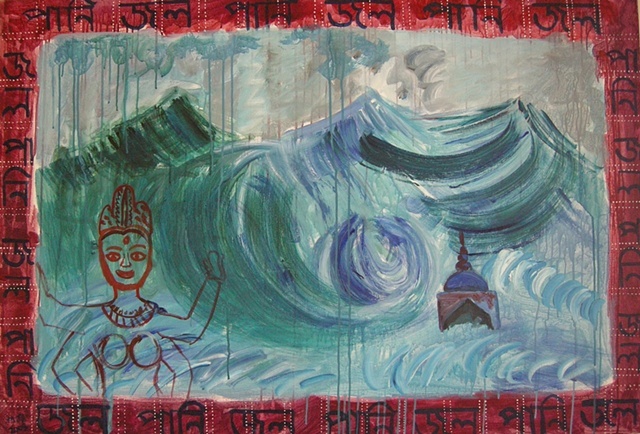 In South Asian culture, water symbolizes life, death, destruction, purification, and renewal. 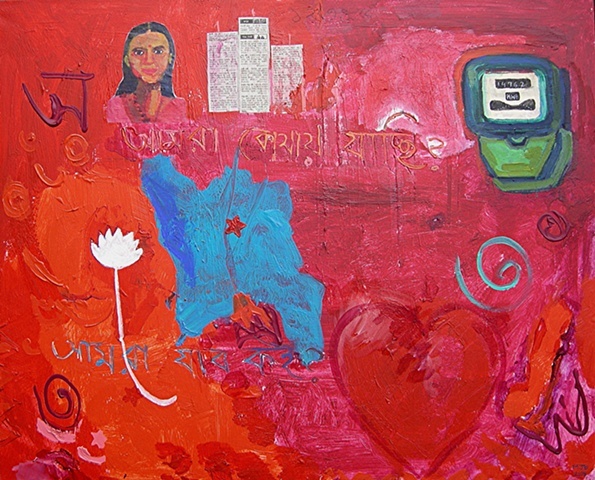 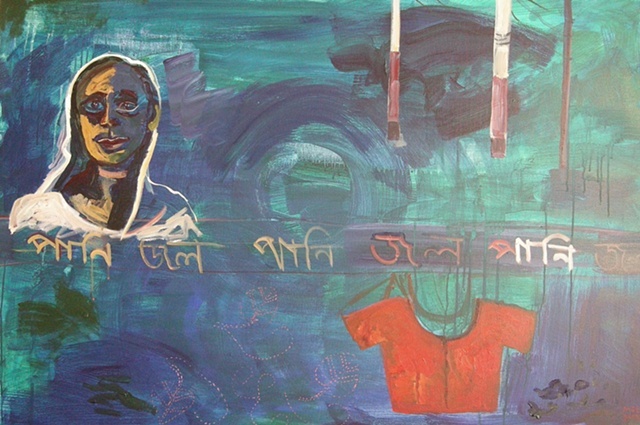 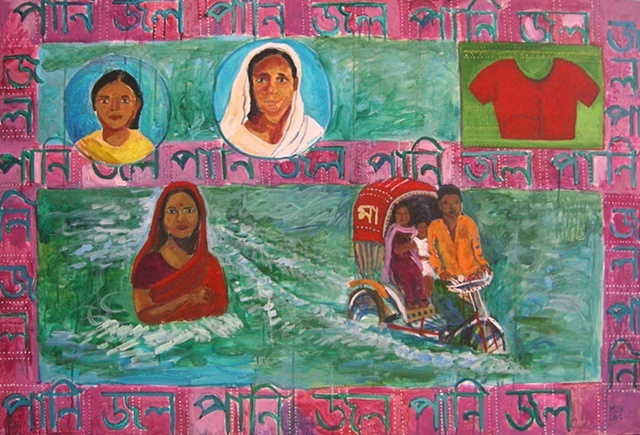 The works often include the words “Pani” and “Jal,” the Urdu/Hindi and Bangla words for water. 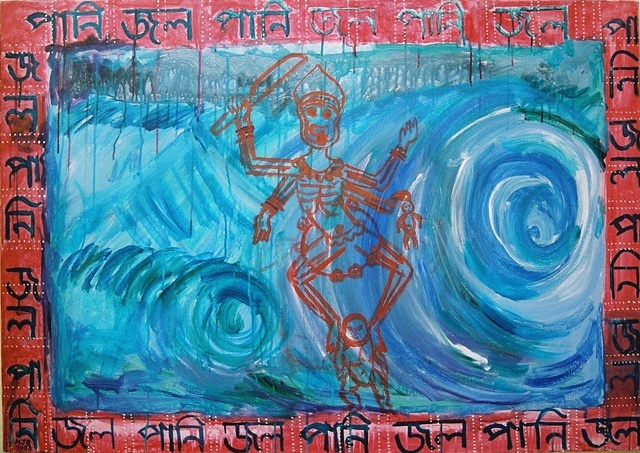 One is used more by Muslims and the other by Hindus. 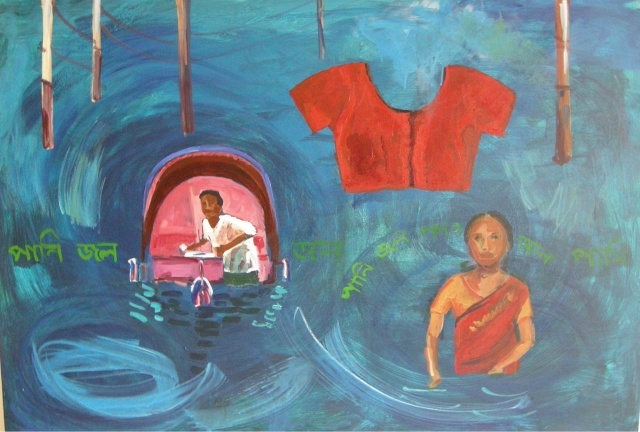 Growing up in a mixed Hindu/Muslim family, with family members in both West Bengal (India) and Bangladesh, I have learned to use both words for water, switching depending on where I am and with whom I am speaking. 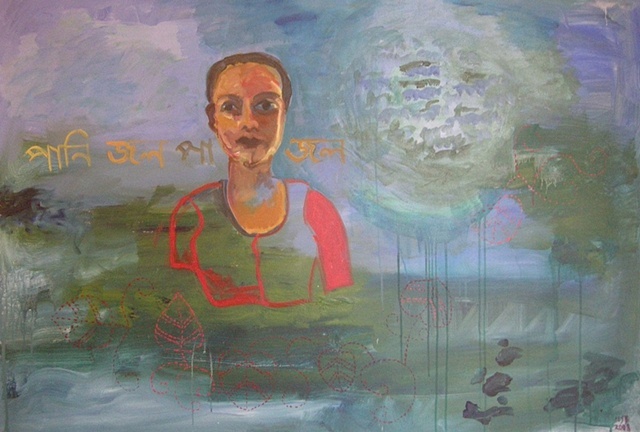 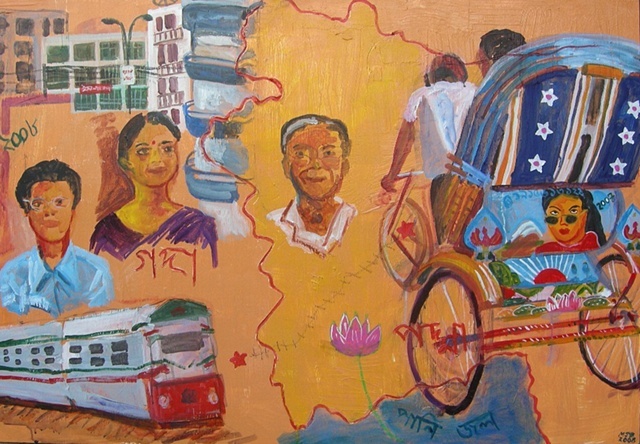 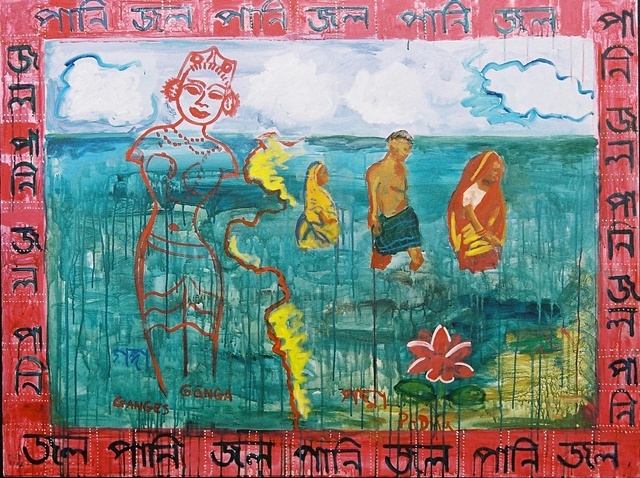 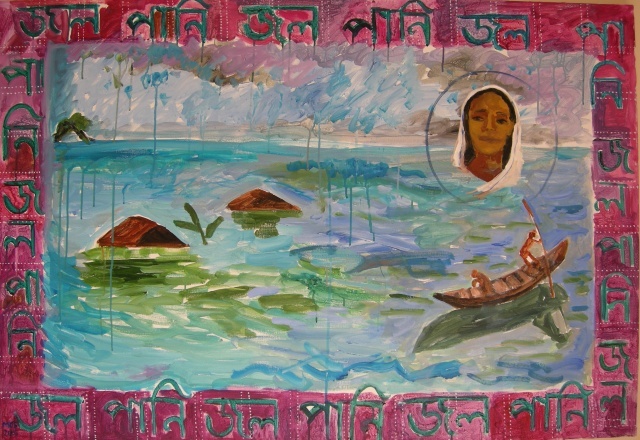 The Water paintings comment on the way in which language and religion can unite and divide us, the partition of Bengal and India, and the cyclones and floods in Bangladesh, which are exacerbated by global warming. 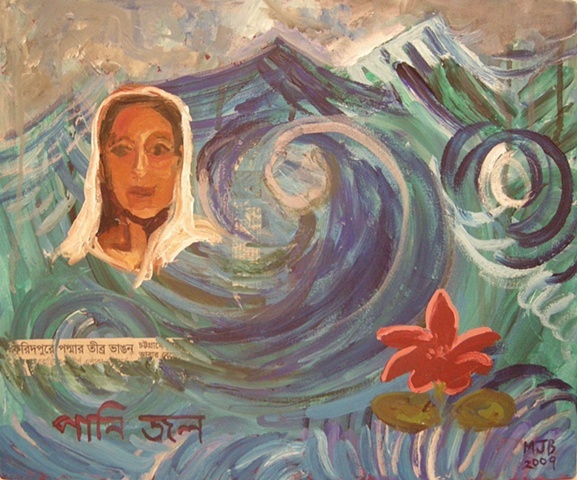 They include images of Bengali goddesses and my grandmother, who lived in a small cyclone-ravaged island in the Bay of Bengal.